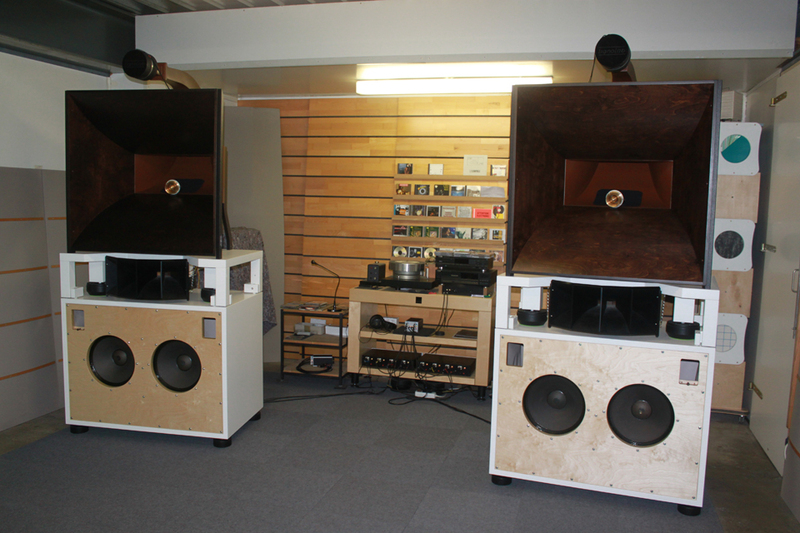 Two Altec 416 8A chassis are situated at the very bottom of the Onken W enclosure. The sides of the casing consist of a sandwich-type construction filled with sand and built from multiplex. Above, you can find the table that, combined with our D172 dampers, decouples the bottom enclosure so that oscillations won't transfer to the top. 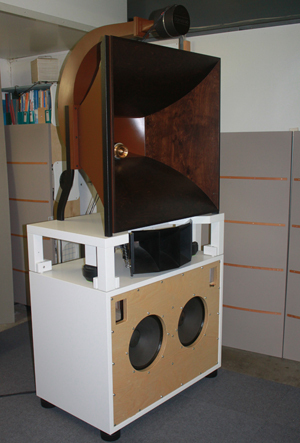 The Sato Horn is provided with a modified Altec 808 1“ driver and takes responsibility for frequencies between 300Hz and 1.3kHz. It is constructed using the same sandwich design, filled with sand and precisely glue-laminated. In the middle is the four part cellular horn with a bronze neck that is driven by a modified Altec 807 1“ that plays the frequencies between 1.3kHz and 8kHz. 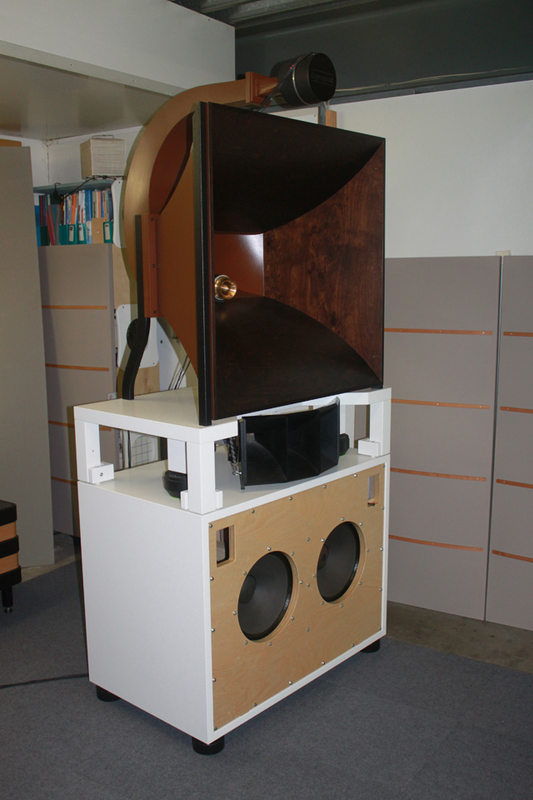 Up from 8kHz, the JBL Tweeter, supported by our DQ148 Dampers and our bronze horn attachment, rounds out the experience.